The world can be a dangerous place, and protecting oneself from those who would seek to hurt you is a skill worth learning. The leadership team at the Bismarck Education Association recognized that need, and responded by scheduling a Self-Defense Safety Course for their members at the North Dakota United Bismarck office on Thursday evening, Nov. 16. 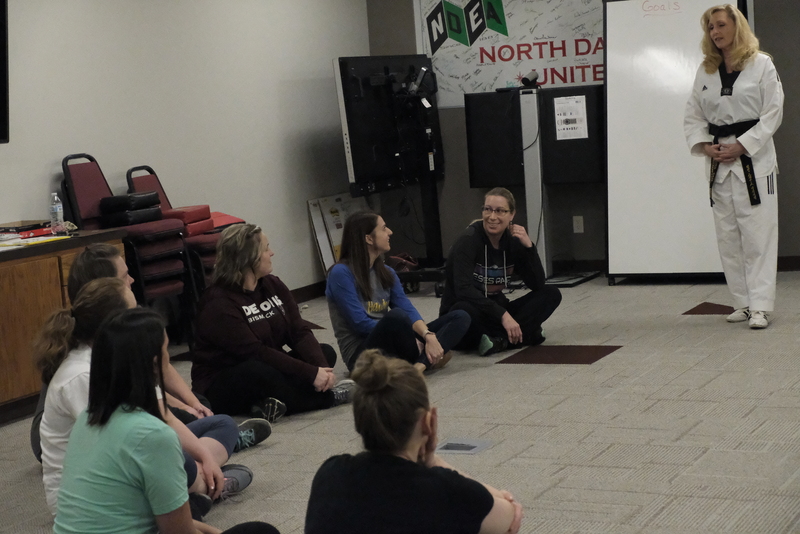 Instructor Kris Ehrmantraut talks to participants at the Bismarck Education Association Self-Defense Safety Course in Bismarck. Ehrmantraut taught participants her three safety rules: Say no. Get away. Tell someone. 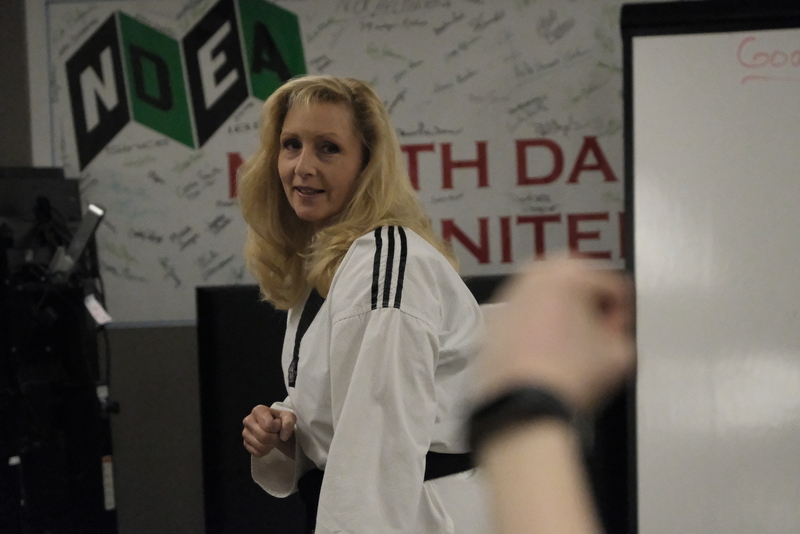 Additionally, she talked about verbal and physical techniques for self-defense, and the importance of using the “buddy system” when going places. Always remember your emergency phone numbers and to dial 911, and if a person, place or thing doesn’t feel safe, don’t be afraid to move away. 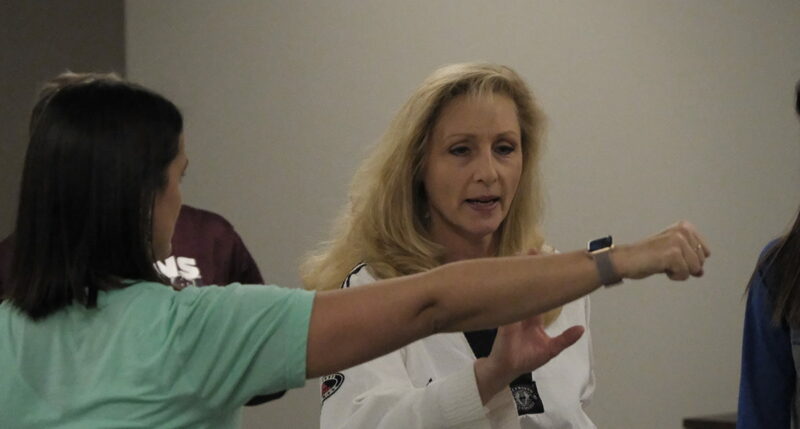 Ehrmantraut spent an hour and a half running the assembled educators through techniques for blocking and defending against would-be attackers.